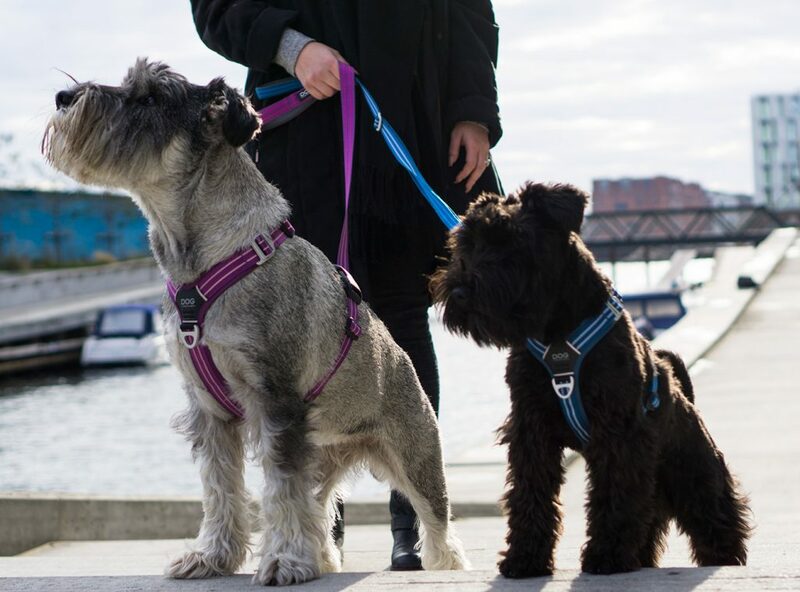 DOG Copenhagen will launch a new collection in early 2019: 6 new, fresh colors for the Comfort Walk Air dog harness, the Urban Freestyle dog leash and the Urban Style collar. They are not only beautiful, but also very safe in the dark thanks to special reflective stripes. Pre-order now and be one of the first to receive the new and safe collection! This new reflective stripes ensure that our four-legged friends are clearly visible in the dark. And that is certainly not a bad idea in these dark days before Christmas! Reflection collars, belts and harnesses are therefore very popular at this moment. Unfortunately, often only the design is good and the reflection is mediocre. Or exactly the other way around; the collar reflects nicely at dark, but is as good looking in the bright daylight. DOG Copenhagen took a different approach, the Danish company likes to combine the good design with outstanding functionality and has therefore been making a name for themselves for years with ergonomic, functional and now also safe design.. Besides the new and safe colors for the Comfort Walk Air dog harness, the Urban Freestyle dog leash and the Urban Style collar nothing has changed to the strong ergonomic design; the harness, the belt and the collar are still smart and functional and made of a durable, light and soft material. The beautiful new colors also remain bright after intensive use thanks to their water- and dirt-repellent layer. Make sure that the dog accessories are washed at 30 degrees in a laundry bag with a mild detergent or with a hand wash. Check our latest DOG Copenhagen brochure here. Would you like to see the new products in real-life? Or do you want to receive a stack of brochures? Call us at +31 (0)6 109 104 63 or e-mail us at info@noho.nl.